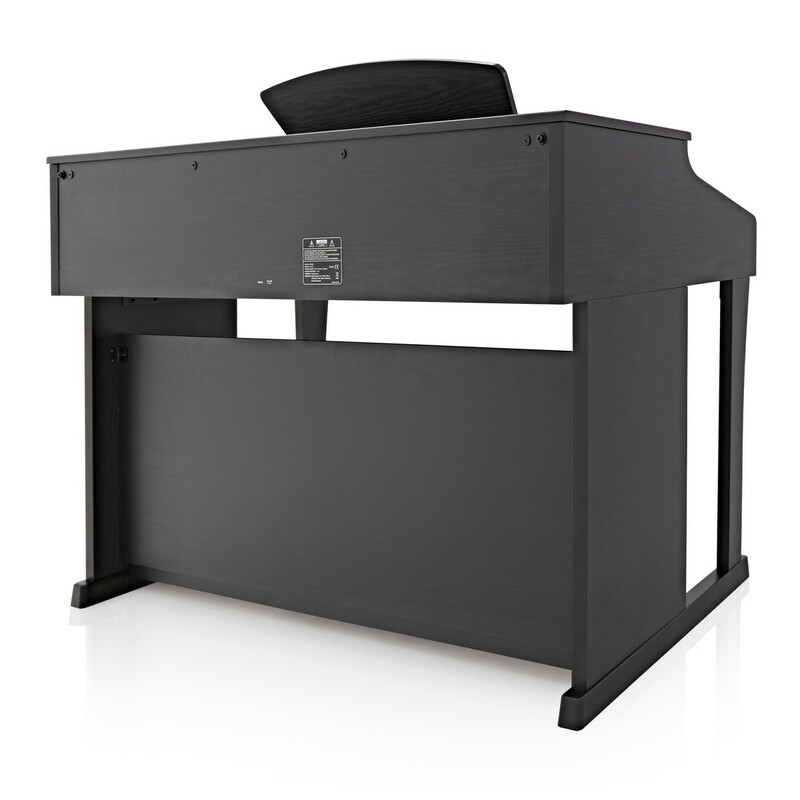 The Gear4music DP-50 is a diverse digital piano with an exceptionally natural feel. 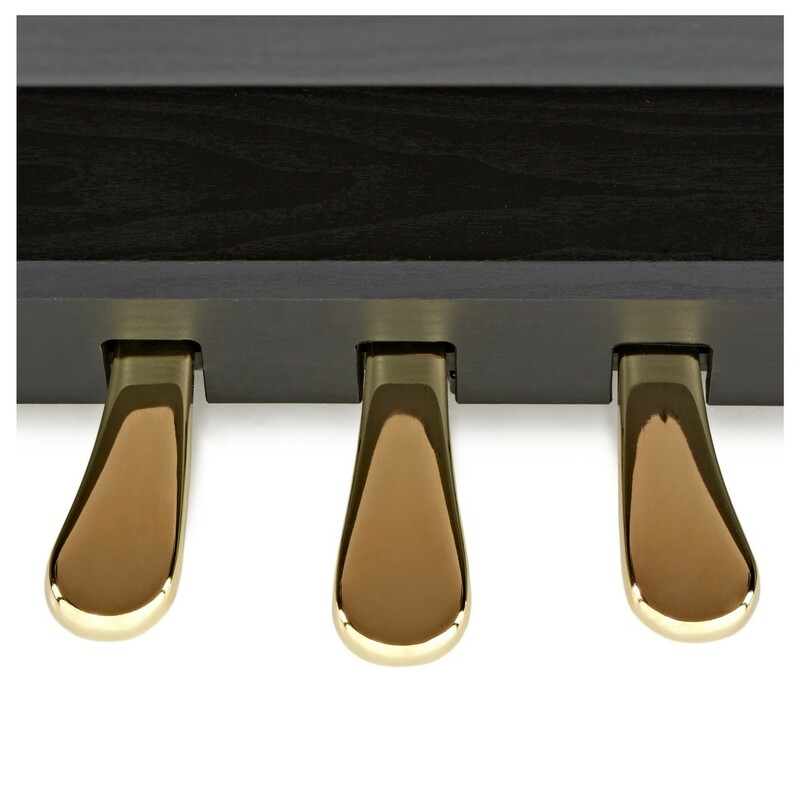 For increased playability, with each key weighted progressively, the graded hammer action transforms your playing from your home to the concert hall. Also with 128 voices and a range of effects and controls you can experiment with new sounds and compositions. Hear yourself back and see how your playing fares up with the greats. With a 16 track sequencer and 55 lessons, the DP-50 caters for beginner players as well as budding composers. 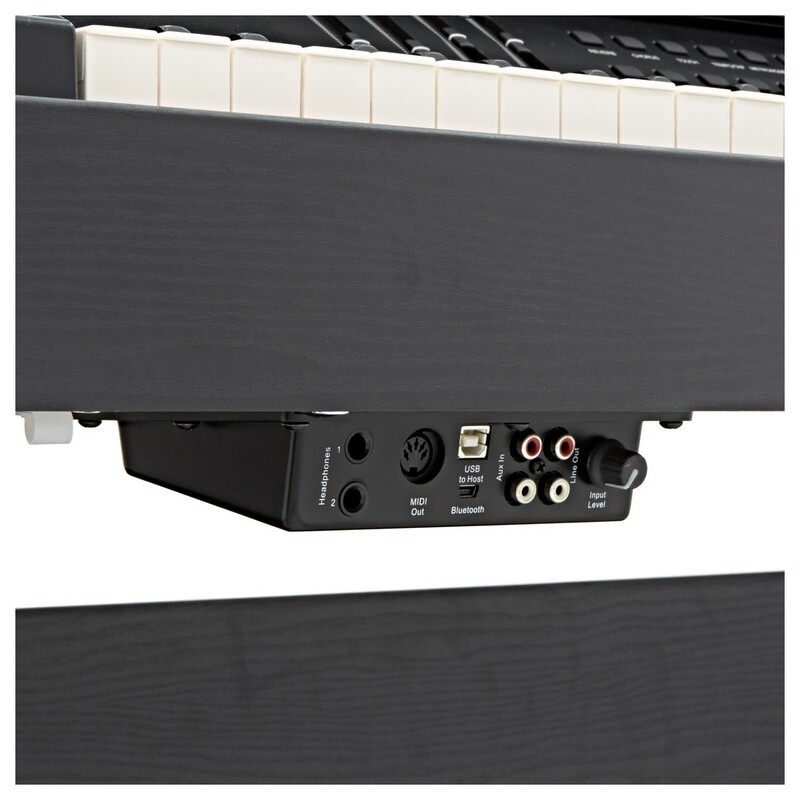 A host of inputs and outputs makes it suitable for all kinds of performance and recording situations. 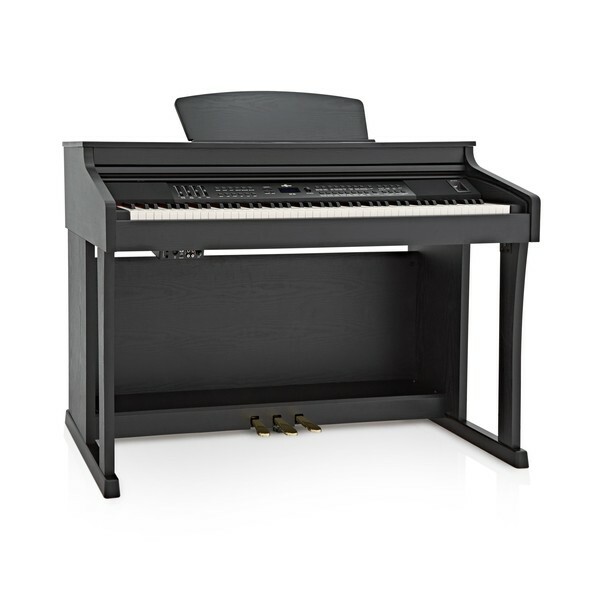 This piano boasts a diverse set of voices. 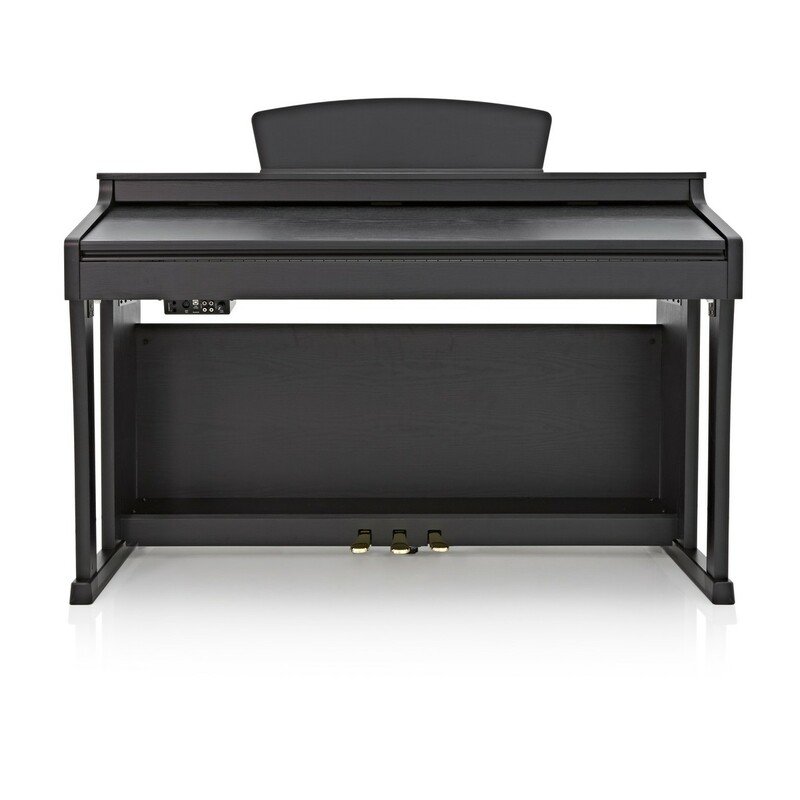 The flagship grand piano sound features a multi-layer stereo sampled sound, which sounds natural and authentic. As well as this, 128 sounds have been added, including electric pianos, organs, strings and various orchestral instruments. All the sounds can be easily accessed via the 17 selection buttons on the control panel and all selections are clearly visible on the blue LCD display. The DP-50 is packed with lots of extra useful tools to perfect your performance. The voices can be tweaked with a two band fader EQ, 13 types level of chorus and eight reverb types and levels. For a more dramatic change, the instrument can be tuned, transposed and panned, making it suitable for ensemble performances. An arpeggio and dual mode have also been added for a comprehensive tonal sound. 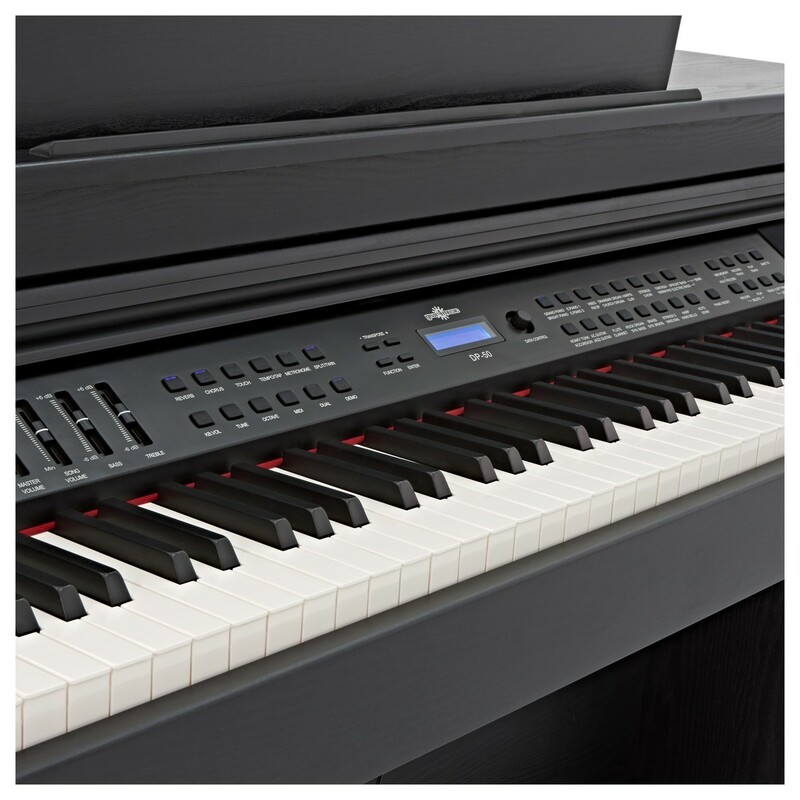 The Gear4music DP-50 offers a range of recording and learning functions, allowing you to progress and compose your own complex scores. 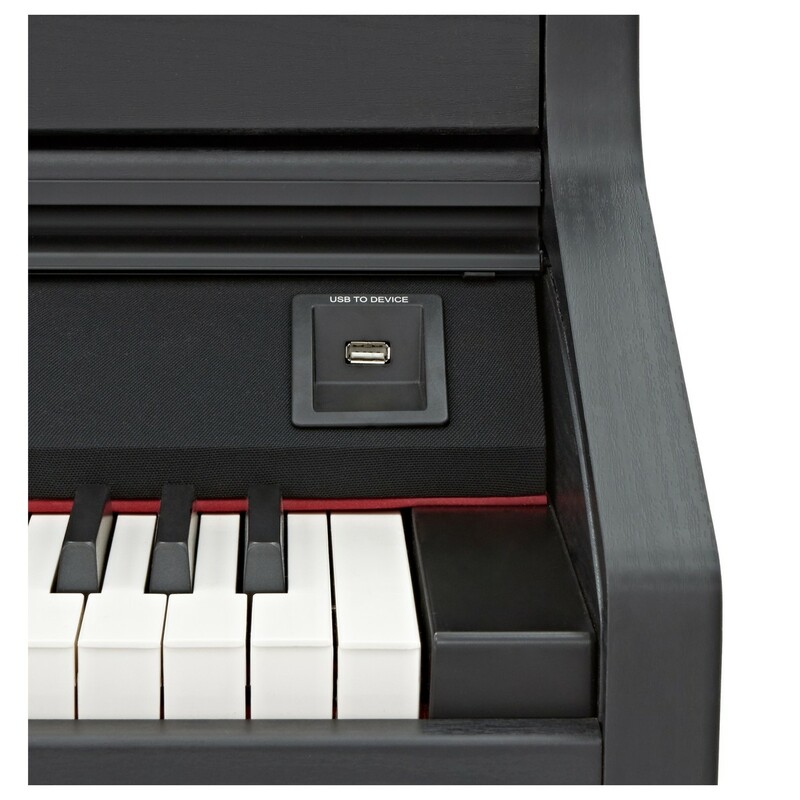 The 16 track sequencer allows you to record multiple tracks on top of each other for a sophisticated song and can then be stored on to a USB drive via the front USB input. 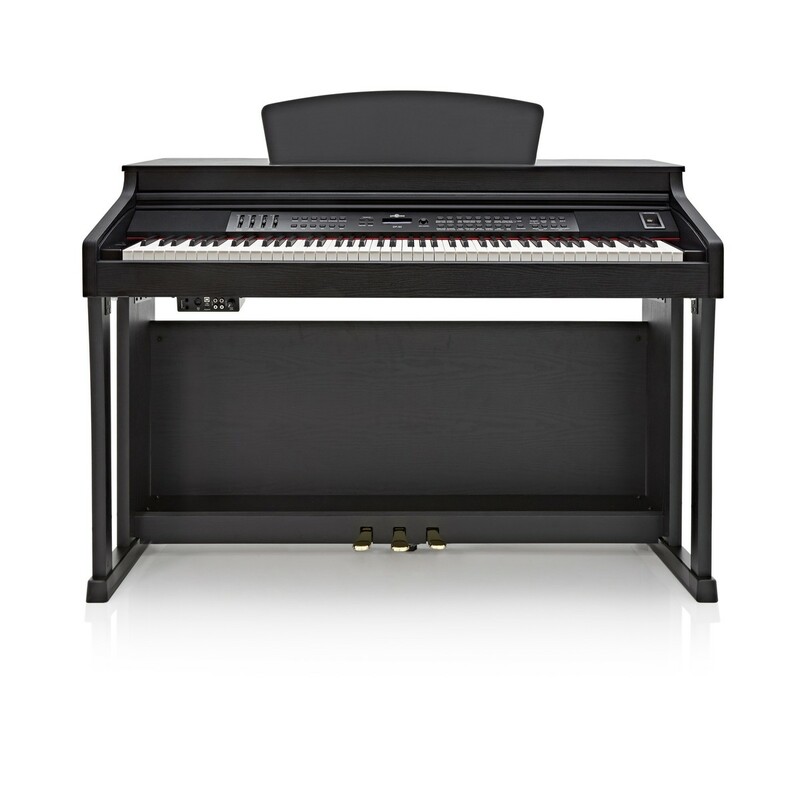 The piano also features 55 lessons, which can be split up in to three stages for a simple and comprehensive learning experience.